Regardless of the property style and interior design, plantation shutters look fantastic in any home, helping transform your room into something special. But if you’re looking for something a little different that adds the wow factor, why not add a splash of colour to your home and windows with custom colour shutters? From calming blues to buttercup yellows and quintessential pinks, our colour custom service matches any colour, providing endless possibilities. Adding a splash of colour can change the mood of your home, can make a statement or make your interior pop. At Totally Shutters we build up the colour of your custom colour shutters layer by layer, rubbing each panel between coats for a smooth and hardwearing finish. We then add a UV protective layer to reduce the chance of fading caused by sunlight. All you have to do is give us a sample of the paint or stain colour you would like for your shutter blinds and we’ll match it. 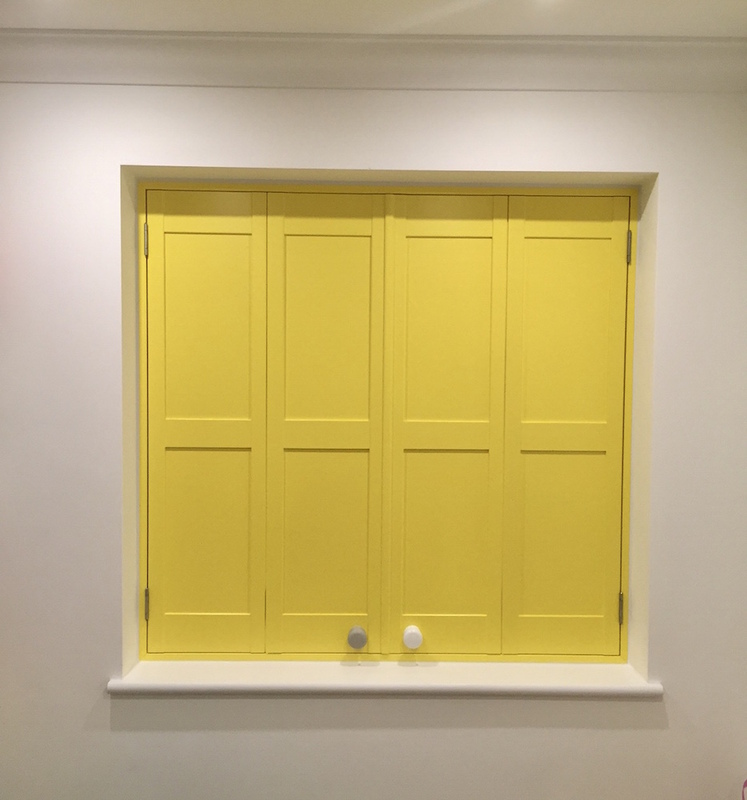 Get in touch with Totally Shutters today on 0203 960 69 63 to find out how we can add a splash of colour to your home with custom colour shutters. All custom colour shutters from Totally Shutters come with a 5-year guarantee.